고성농요는 경상남도 고성지역에서 전승되어오고 있는 전통농요이다. 고성농요는 하지무렵부터 시작되는 농사소리가 주축을 이루며 이를 ‘등지’라고도 하는데, 등지는 모내기소리의 경상도 방언이다. 고성농요는 모판에서 모를 찌면서 부르는 모찌기소리, 모를 심을 때 부르는 모심기소리, 보리타작하며 부르는 도리깨질소리, 김맬 때 부르는 상사소리 및 방아타령 등으로 이밖에 부녀자들이 삼을 삼으면서 부르는 삼삼기소리, 물레질하며 부르는 물레타령 등이 있다. 고성농요의 노랫말에는 이 고장 농민들의 생활감정이 풍부하게 담겨 있으며 향토적인 정서가 물씬 풍긴다. 고성농요는 투박하고 억센 경상도 특유의 음악성을 간직한 경상도 노래이지만, 지리적인 영향으로 음악적인 면에서는 전라도의 계면조 선율구조로 되어 있다. 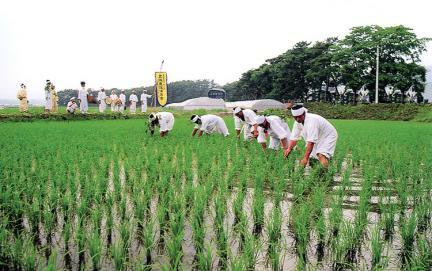 Nongyo (Farmers’ Songs) are sung by farmers while working in wet rice paddies or dry fields to recover from their fatigue and enhance the efficiency of the work. They are also called Deullorae (field songs). 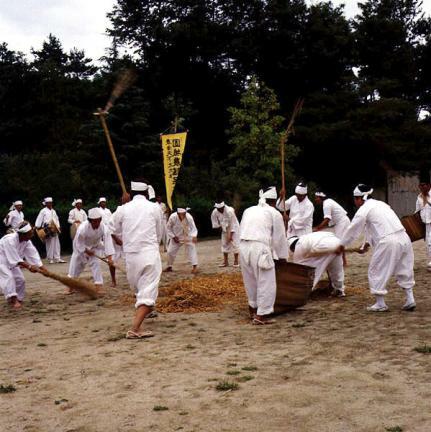 Farmers in Goseong, Gyeongsangnam-do usually start these songs around haji (summer solstice). 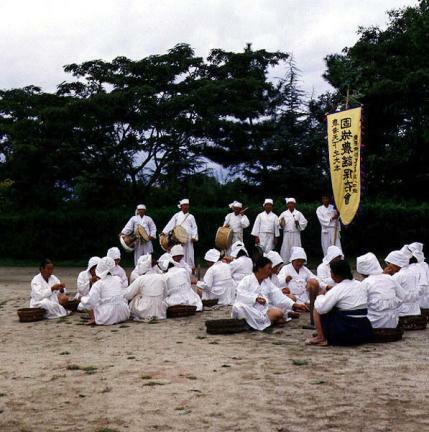 The songs are called Deungji (songs sung while planting rice seedlings). 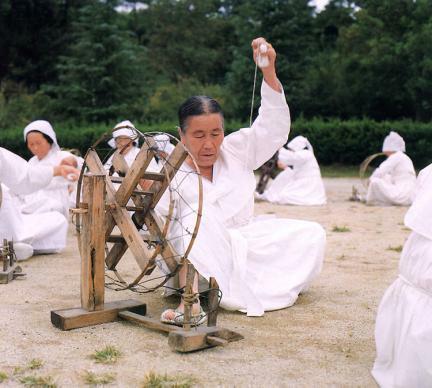 It is said that one day the Gyeongsang-do governor was passing through a field in Goseong and he stopped there to spend hours listening to the beautiful melodies of the songs sung by local farmers. There are different songs sung for different occasions in Goseong. 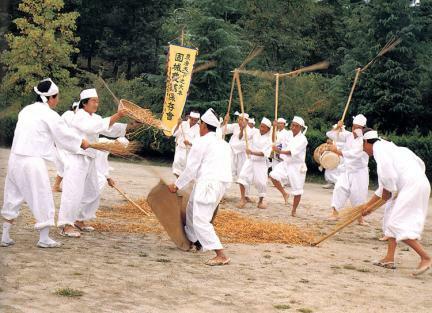 There is Mojjigi deungji (Song of Picking Rice Sprouts), Mosimgi deungji (Song of Rice Seedlings), Dorikkaejil sori (Song of Flailing), Sangsa sori (Song of Rice Planting), Banga taryeong (Song of Milling), Samsamgi sori (Song of Hemp Weaving), and Mulle taryeong (Song of the Spinning Wheel). These songs are also performed in public. Their lyrics embody the sentiments of local farmers while the melodies display the influence of of Jeolla-do songs, probably due to the area’s geographic proximity to Jeollanam-do.